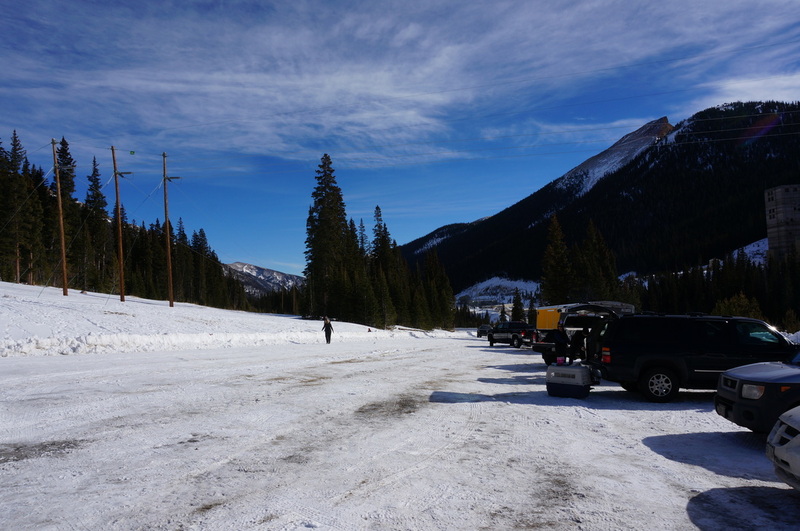 Directions: The winter trailhead for Butler Gulch starts at the large parking lot across from the Henderson Mine. 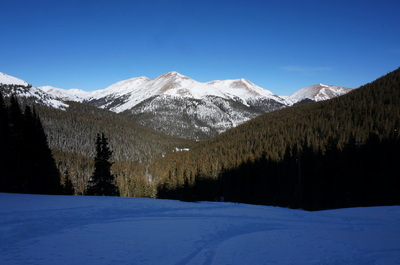 From Denver, take I-70 West and Hwy 40 North towards Berthoud Pass. 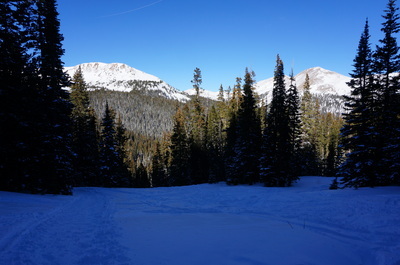 Just before you start the switchbacks make a left towards Jones Pass and the Big Bend Campground. 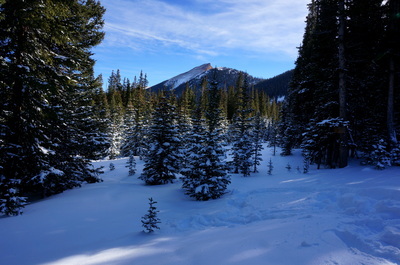 Stay on this road until you see the sign for the Henderson Mine. 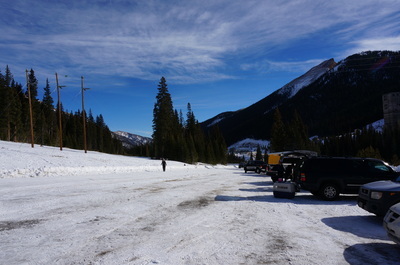 On the right is a dirt road that leads to a large parking area. The Continental Divide Trail is off to the right, but for this hike start walking up the snow packed dirt road towards Jones Pass, after .25 mi or so a sign will point to the left for Butler Gulch. 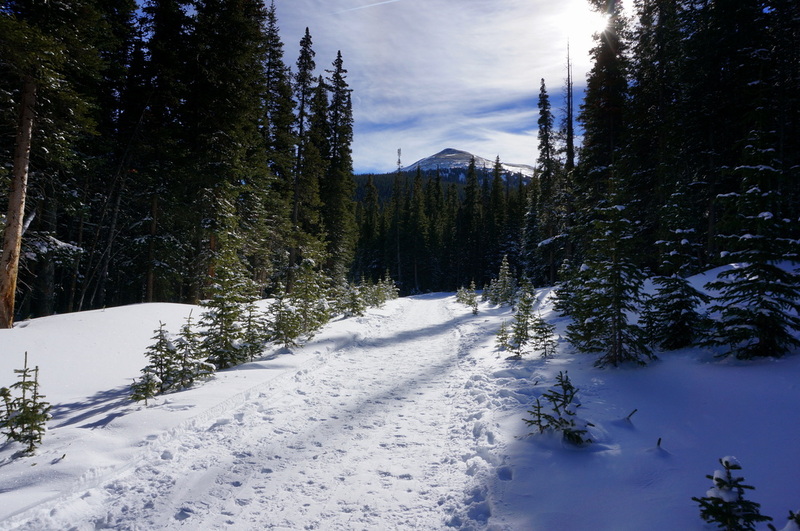 Pass through the gate and cross over the culvert to find the trail. 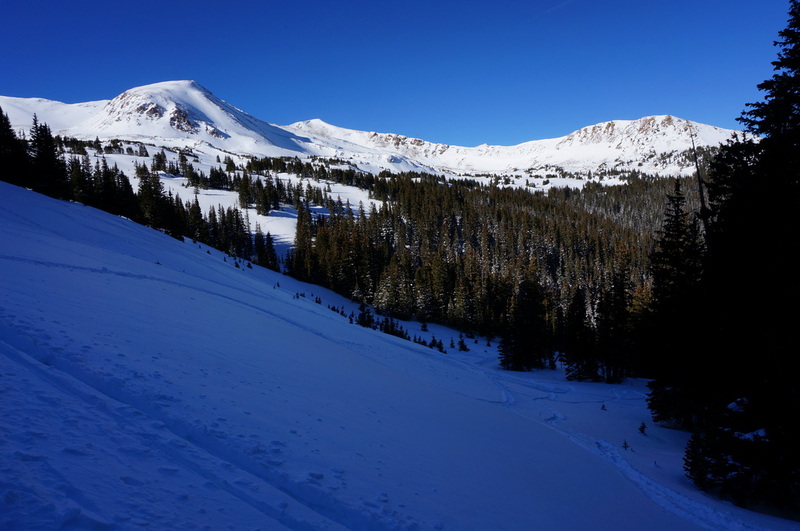 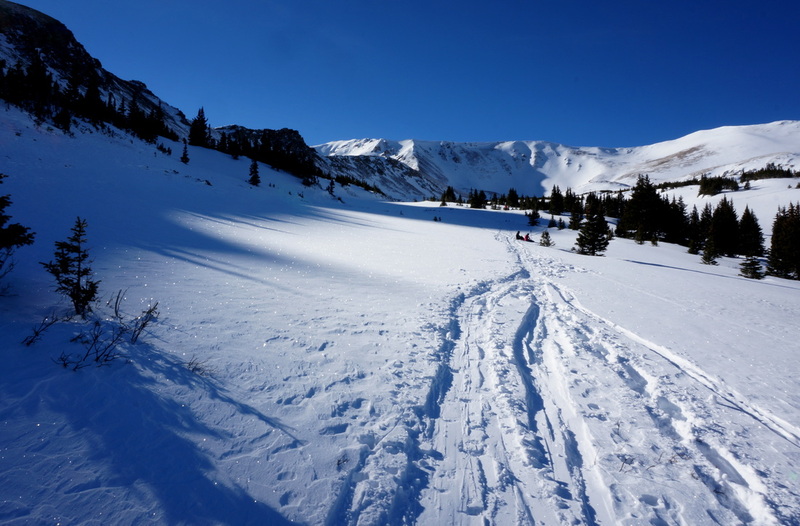 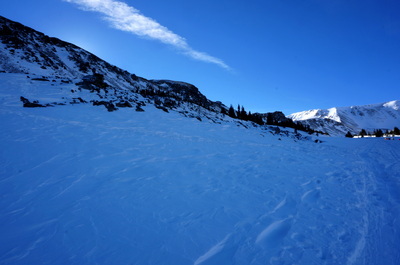 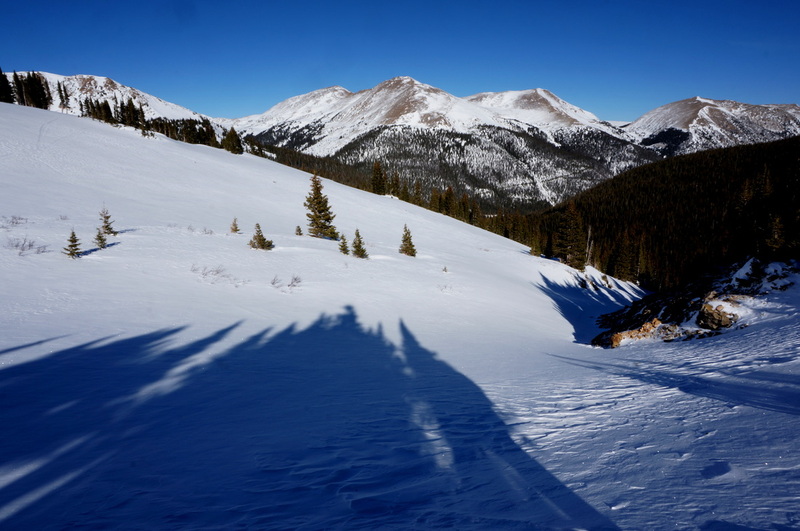 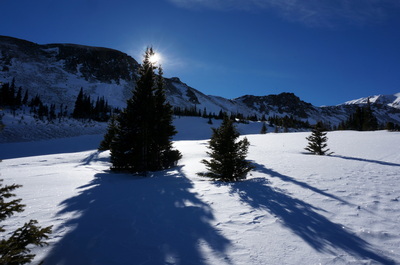 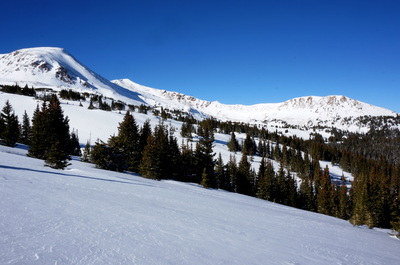 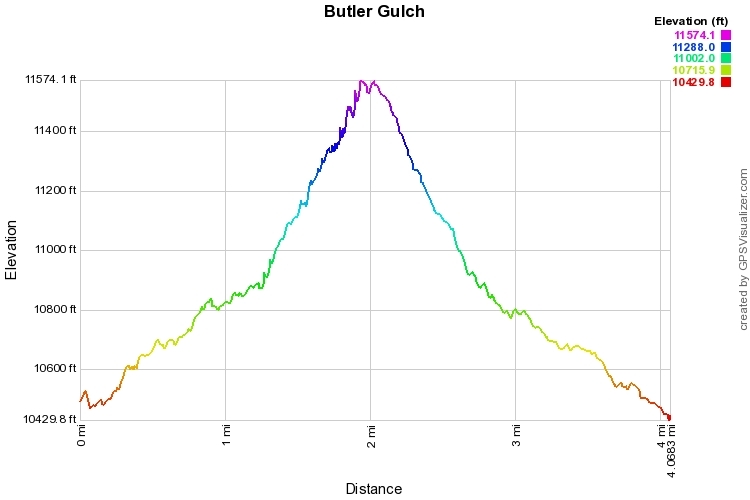 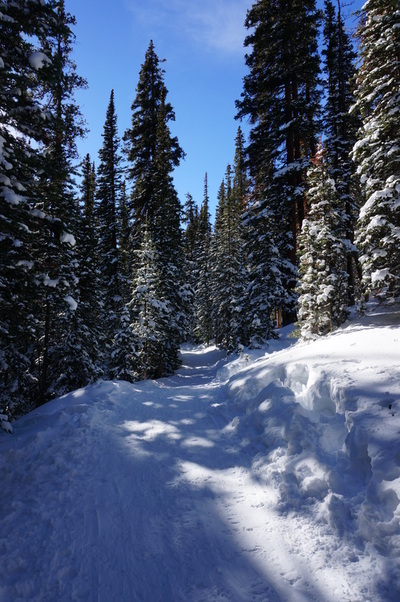 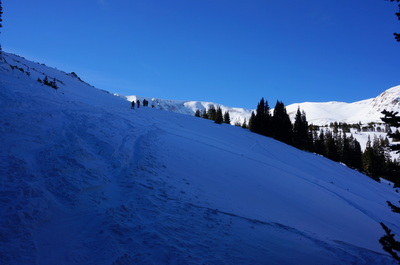 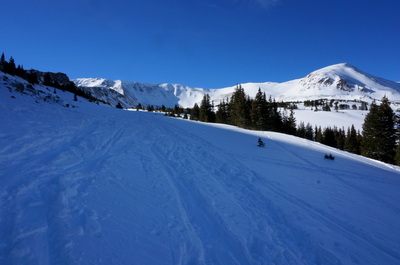 The trail to Butler Gulch is very popular in the winter, mostly for backcountry skiers, but also for snowshoe hikers. The first 1.5 miles are packed snow and you might not even need your snowshoes if you have trekking poles or spikes for traction. 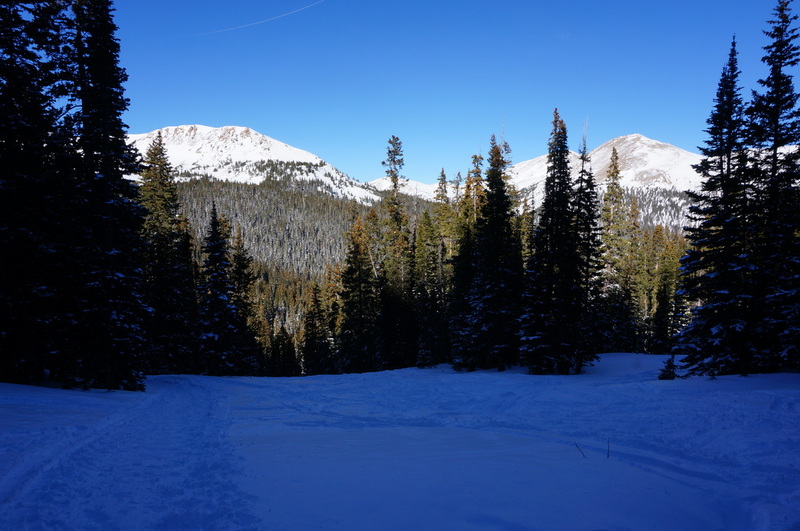 1 mile in, you'll cross a creek and start ascending the steep section of the trail. Once you break treeline, you will need your showshoes for sure. 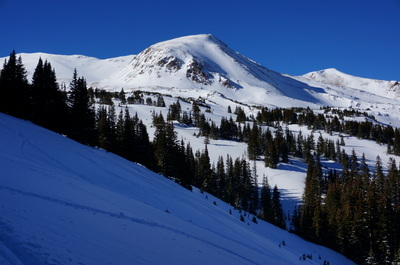 Once above treeline you'll find yourself in an alpine bowl and can go wherever you wish, explore the bowl to your heart's delight, just look out for skiers. 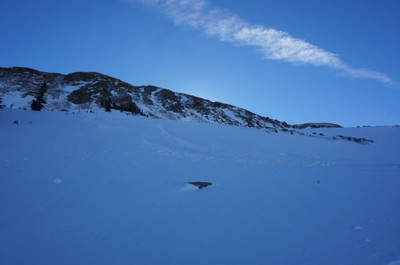 The official end of the hike is some old mine ruins, about .5 mi from the end of the map above.